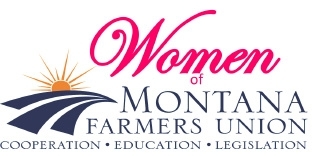 Montana Farmers Union is pleased to announce details on its 2019 Women's Conference Feb 1-3, 2019 at Fairmont Hot Springs. The conference will feature personal and professional development opportunities, agriculture tours in the Butte area including Headframe Spirit, Butte Brewery and Montana Craft Malt. Jolene Brown will keynote the event. Join us for a weekend of fun, networking and great education on agriculture in Montana!